Insurance markets for sporting events and terrorism coverage could be affected by the Boston Marathon bombings, according to a risk expert offering one of the first estimates of the impact of the terrorist attack. Dr. Gordon Woo, catastrophist at the California-based modeling firm RMS, said most of the property damage appears to be within 20 feet of the explosions and insured property losses are unlikely to exceed $1 million. However, he said in a statement analyzing the event, the costs of business interruption as a result of security restrictions around the Copley Square area since the event may be a larger source of insurance claims. On Monday two bomb explosions occurred near the finish line of the Boston Marathon. The blasts killed three people and injured more than 150. President Obama and others in Washington have called the bombings an act of terrorism. Police have found evidence of backpacks, pressure cookers and ball bearings they believe were part of the improvised explosive devices. Woos said that while the Boston Marathon attack is the first high-profile successful act of terror in the U.S. since 9/11, it is actually one of the dozens of terrorist plots against the U.S., most of which have been thwarted. “With large quantities of explosives being increasingly hard to procure or improvise, the use of smaller sized lethal explosive devices has been the preferred attack mode in recent plots against the western alliance,” Woo said, citing the September 2009 attempt by Najibullah Zazi to detonate backpack bombs on the New York subway killing the maximum number of people possible. Street events, like the marathon, are inherently vulnerable because while there are very large crowds public access is unrestricted, he said. “Terrorism risk is best mitigated by counter-terrorism forces interdicting plots before terrorists move to their targets. Fortunately, this happens with more than 90 percent of U.S. and U.K. plots. However, plots involving a small number of operatives, such as seems to be the case with the Boston bombing, are the most difficult to prevent. Terrorism attacks remain a very real threat; there have not been larger attacks only because of the success of plot interception,” said Woo. Woo said the point of attack, in the heart of Boston, is in accord with the escalated level of threat to central business districts of the principal cities. He said high security inside sports arenas forces terrorists to look for “softer” targets outside such as the Boston marathon as opposed to the Superbowl or the Olympics. Additionally, deflection to a lower risk profile city, such as Boston, suggests that the perpetrators were concerned security would be higher in New York, according to Woo. 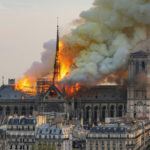 He said insurance for sports events is likely to be impacted by the Boston Marathon bombs, noting that the shortage of terrorism insurance cover in the years after 9/11 led to the securitization of the cancellation risk of the 2006 FIFA World Cup. “So while the property insurance loss is small, the Boston Marathon bombing may well have a significant influence on the terrorism insurance market,” he said. RMS issues quarterly terrorism risk briefings, which have indicated the increased likelihood of smaller scale attacks as opposed to macro-terrorism attacks. This trend towards the use of smaller bomb sizes to circumvent security forces is anticipated by the RMS Probabilistic Terrorism Model, the company said. Only one wrap-up client has ever rejected terrorism from us, but I would suspect that insureds, wrap-up or practice, will be purchasing terrorism coverage with more frequency.